David Dunn is captured when trying to stop multi personality Kevin Wendell Crumb, also known as The Horde becoming the Beast and is taken to a mental institution that also holds Elijah Price aka Mr. Glass. Here Dr. Ellie Staple hopes to prove to David, Kevin, and Elijah that they do not have special powers. However, Elijah plans to escape and release The Beast to prove to the world that humans with superpowers do exist. Dr. Staple is warned that underestimating the trio could cause devastating results from Joseph, David’s son; Elijah’s mother and Casey who managed to escape The Beast in Split. Stars: James McAvoy; Bruce Willis; Samuel L. Jackson; Sarah Paulson; Anya Taylor-Joy; Spencer Treat Clark and Charlayne Woodard. 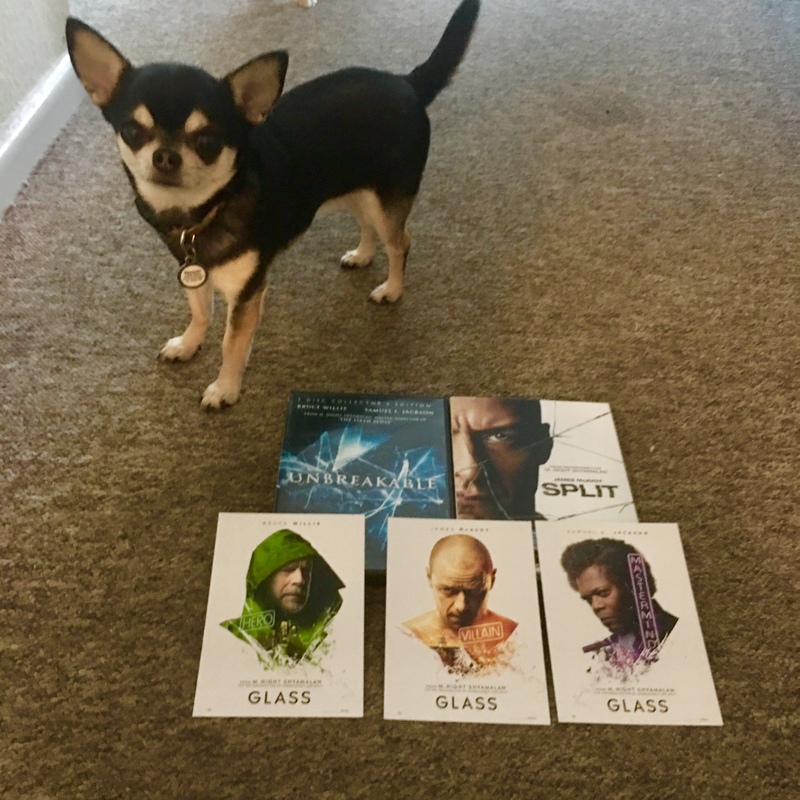 Following great films like Unbreakable and Split, it was to be a big ask for Glass to conclude the trilogy to a satisfactory result, but it does. McAvoy once again is a stand out, switching characters effortlessly and bringing cast members from the previous films really adds to the continuity. The Film’s only fault can be the ending, which whilst satisfying, you can not help it’s left to create another movie.